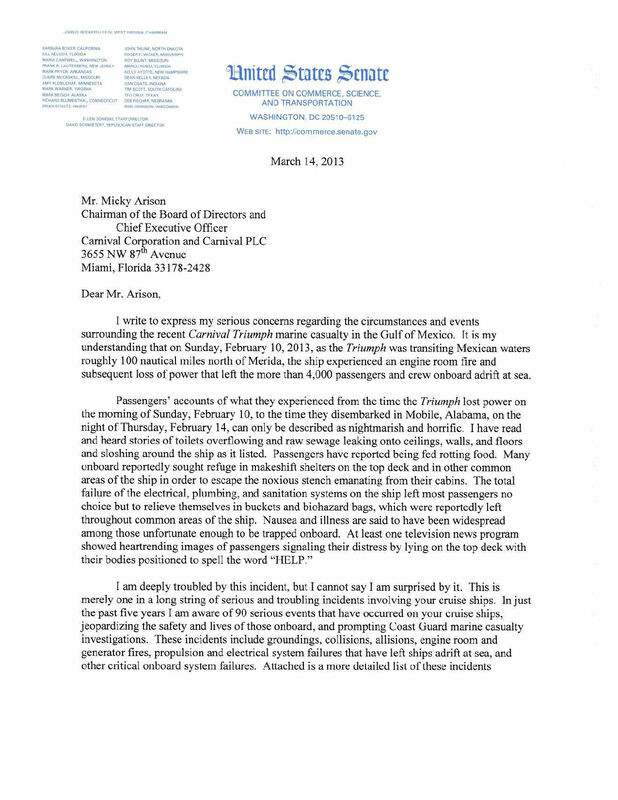 The Carnival Dream is the third ship in less than 2 years that has encountered serious propulsion, and engine issues, severe enough to prompt Carnival to seek rescue from the Coast Guards (Carnival Splendor & Carnival Triumph). The Carnival Dream is the latest incident where thousands of passengers were stranded in St. Marteen. Thankfully, Carnival did not make the decision to sail away despite mechanical issues, rather the Captain of the Carnival Dream opted to fly out all passengers back to the United States. 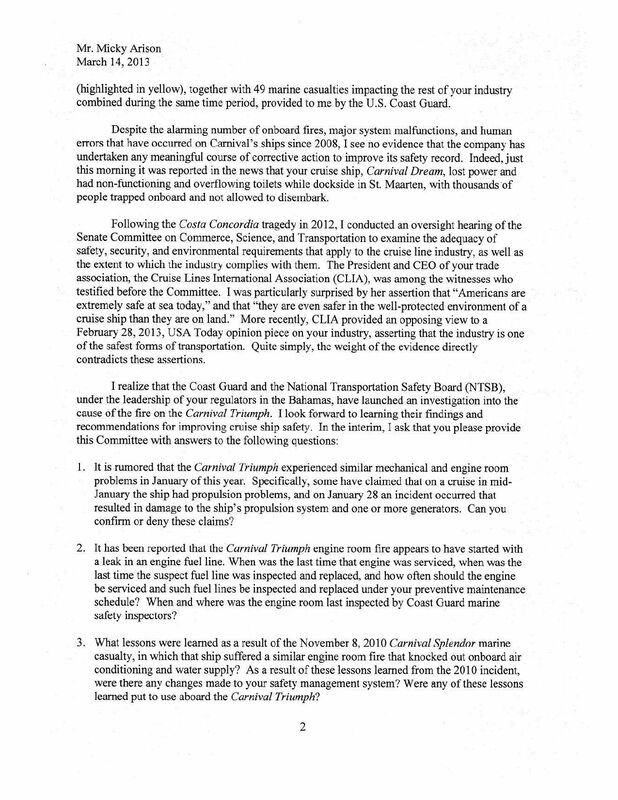 Tagged: "Carnival Dream", "Carnival Splendor", "Carnival Triumph", "John Rockefeller IV" and "Micky Arison"
The District Court for the Southern District of Florida just issued an Order granting Carnival Corporation’s motion to dismiss a personal injury claim stemming from the Costa Concordia tragedy of January 2012. This decision marks the first of its kind pertaining to a personal injury claim brought in Florida against the cruise line. 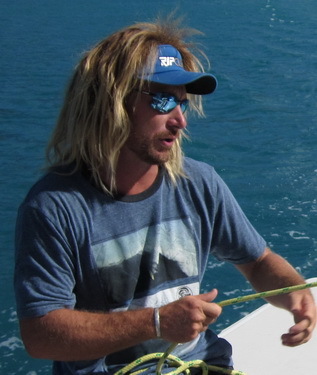 In this case, several plaintiffs from Massachusetts filed a lawsuit in the Souther District of Florida against the operator and owner of the Costa Concordia (Costa Crociere, Costa Cruise Lines, Carnival Corporation, and Carnival Plc). Judge Dimitrouleas rendered a 23-page decision which dismissed the plaintiffs’ personal injury claims, asserting in no uncertain terms that the Court was “thoroughly convinced that dismissal in favor of an Talian forum is proper.” The Court motivated its decision after “having carefully considered the balance of the factors against the strong pesumption in favor of Plaintiffs’ choice of forum.” In the end, every single factor weighed in by the Court tilted in favor of the Defendant. 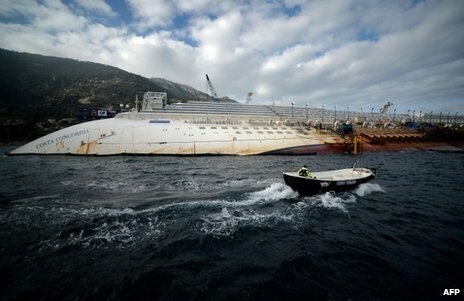 Tagged: "Carnival Corporation", "Carnival Cruise Lines", "Costa Concordia", "Costa Cruise Lines", "Judge William Dimitrouleas", "Warrick v. Carnival Corporation" and "Wilhelmina Warrick"
We began reporting on the Costa Concordia as soon as the tragedy occurred on Friday, January 13th, 2012. That night, thousands of passengers lived through a collective nightmare which ended in the most blatant mishandling of an emergency aboard a large cruise ship since the Titanic. Every single passenger aboard the Costa Cruise thought they were going to die at sea. Ultimately thirty-two passengers perished that night. Four passengers currently in litigation provided a unique insight into what passengers aboard a stranded and sinking cruise ship were thinking and experiencing. What became crystal clear is the breakdown in communication and level of negligence displayed by Costa Cruise Lines employees of all rank. Our four passengers were traveling together as a group and thankfully escaped the sinking ship. All four owe their luck to self-reliance and the common-sense of ignoring what Costa Cruise crew members were ordering passengers to do. At approximately 9:00 p.m., all four friends met for dinner in the fourth floor dining room, where they were seated at the lower level. Shortly after they sat down, the ship suddenly tilted to one side, knocking over some glasses and plates. Everyone, passengers and crew-members alike, was stunned, however, within a couple of minutes, the restaurant patrons were assured by the dining staff that there was no problem. Only minutes later, the ship sharply tilted to an extreme angle, sending all of the dishes and food on their table to the floor. This scene was replayed across the entire dining room as dishes and plates went flying everywhere. The angle of the ship was so severe that even tables were sliding across the floor, bringing to their minds the movie scenes of the sinking Titanic, which was the only cruising experience three of them had at the time. Massive panic in the dining room broke out as families and friends attempted to protect children and loved ones and to make their way to safety through the chaos without any help from the staff. After receiving no assistance or instruction from the staff, our group of friends quickly determined that they could not rely upon the ship’s personnel and would have to take the appropriate steps to save themselves. Remembering having seen life jackets in their closets, they fought their way through the flying china, furniture and panicking passengers out of the dining room, further impaired by the severe angle of the ship, which had also caused water to flood out of the galley on to the floor. After escaping from the dining room, one of the four friends became separated in the madness from the other three, who managed to stay together until the end. The now smaller group fought its way through the maddening crowd of screaming, running and panicked passengers. One of them, a female passenger, slid in water which flooded out of the galley, turning the polished floor in the foyer outside of the dining room into an ice rink. As she slid across the tilted foyer, she only came to a stop after bashing into a metal column in the center. After someone helped her up, she continued to run through the chaos in an effort to catch up with her two other friends. As they continued to run toward their cabins, they were all terrified and feared that the ship was going to sink. Since none of them were good swimmers, they all were afraid that if they had to jump overboard without a life jacket, their chances of survival were poor. Cruise lines sell tickets by promising dream vacation while sailing on floating cities around the world. Wanting the best vacation is the common denominator of each and every cruise passenger before they board a cruise ship. 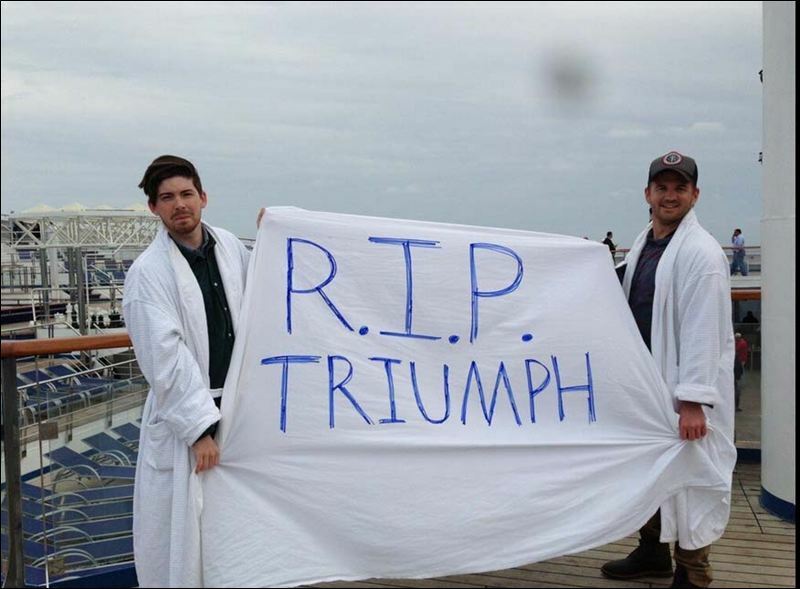 Sadly, for a lot of cruise passengers, their experience will be remembered for the wrong reasons. Save a copy of your ticket contract. 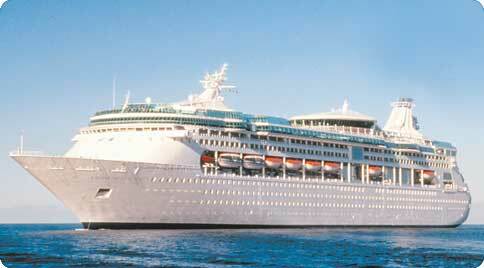 The ticket contract is a 15- to 20-page document forwarded to you by the cruise line upon purchase of the cruise. 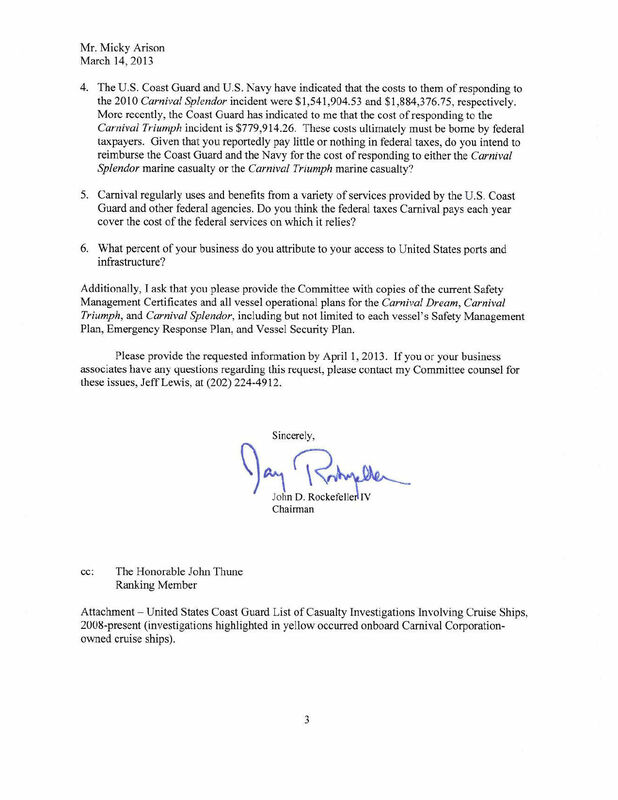 This important document contains legally binding documents that will affect any potential claim or lawsuit against the cruise line. Document the incident. You must take your own photographs of the scene of the incident. This is crucial to determine not only exactly where an incident took place, but to have evidence of the conditions of the area in fall cases. Write down the names and rank of any and all crew members you come into contact with, and interact with, after the incident. Document who spoke to you or your relatives, and friends. Document the questions you were asked and more importantly the answers your provided. If you need medical care while on ths ship after an incident takes place, do not leave the ship without requesting and obtaining a copy of the medical records, as well as a copy of any and all x-rays, scans, or studies performed by the ship’s doctor. Avoid one of the biggest and most common mistakes injured cruise passengers make: Do not rely on cruise employees being helpful when you are involved in an incident with injury. Cruise employees are trained to shift into a crisis management gear once an incident occurs. They will not only attempt to diminish your injuries, but more importantly, they will be reticent to assist you with anything. Once you sustain an injury, cruise companies stop seeing you as a paying passenger, but rather as a future claimant. As such, do not expect assistance, and do not rely on cruise employees to do anything to make the rest of your cruise a “dram vacation” any longer.